You don’t have to be scared. You’ve just gotta be smart. Below, watch a new preview for the second season of the Bloodline TV series, premiering on Netflix Friday, May 27, 2016. 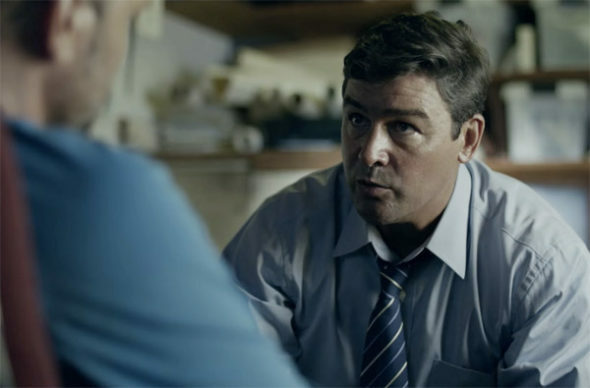 In the newest Bloodline season two promo, John Rayburn (Kyle Chandler) tells Kevin Rayburn (Norbert Leo Butz) that he doesn’t have to be scared, he just has to be smart. In other words, Kev needs to keep his mouth shut. In addition to Chandler and Butz, Bloodline stars: Ben Mendelsohn, Sissy Spacek, Linda Cardellini, John Leguizamo, Andrea Riseborough, Jamie McShane, Jacinda Barrett, Enrique Murciano, and Owen Teague. Chloe Sevigny, Steven Pasquale, and Katie Finneran are also the cast. Can the Rayburns keep it together, in Bloodline, season two? Watch the new Netflix trailer and tell us. Blowing in like a hurricane off the coast, Danny was the living embodiment of the family’s wounds. Once he returned, the Rayburn family could never be the same again. At the beginning of Season 2, Danny’s siblings are still reeling from that unspeakable act of violence when a second hurricane hits, and this time it’s bringing three new characters to the Florida Keys. Ozzy Delveccio (John Leguizamo) – A charming, violent, opportunistic wild card from Danny Rayburn’s past. In the wake of Danny’s murder, Ozzy arrives in the Florida Keys with mysterious motives and threatens to wreak havoc in the lives of the Rayburns. Evangeline Radosevich (Andrea Riseborough) – Street-wise, and unpredictable, Evangeline is a woman from Danny Rayburn’s past who has some unfinished business with the Rayburn Family. Nolan Rayburn (Owen Teague) is the son of Danny Rayburn. In the aftermath of his father’s murder, Nolan mysteriously arrives in the Keys with knowledge of his father’s life that could undo the Rayburn family. Season 2 begins with the Rayburn family struggling to conceal their unthinkable crime. Mysterious strangers from Danny’s past arrive with a dangerous agenda. Law enforcement is closing in on the truth behind Danny’s murder. And the tight-knit family’s once harmonious relationship is poisoned by paranoia and mistrust as it slowly begins to unravel. Lies mount. Alliances are betrayed. Relationship are destroyed. With their backs against the wall, good people may have to do some very bad things. What do you think? Are you a fan of the Bloodline TV show? Do you plan to stream the second season on Netflix? Will you binge watch, or ration out the episodes?